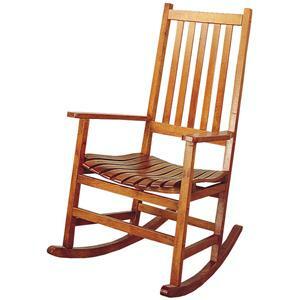 This lovely wooden rocker will be a nice addition to your country style home. 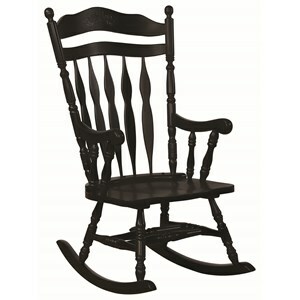 The high chair back has a shaped top splat with a pretty floral carving, above elegant double arrow slats. 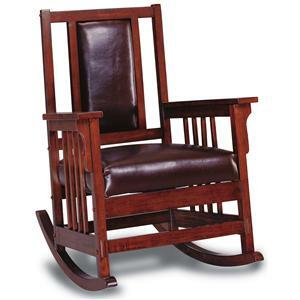 A deep wooden seat will keep you comfortable as you relax and rock in this beautiful dark Walnut finished rocking chair. Soft curved arms frame the seat, with turned spindle supports. 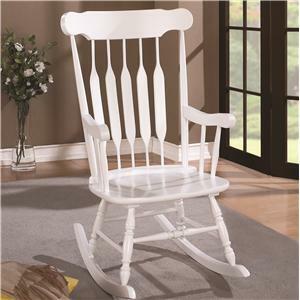 Pretty turned legs above the wood rocker base complete this charming country style look. 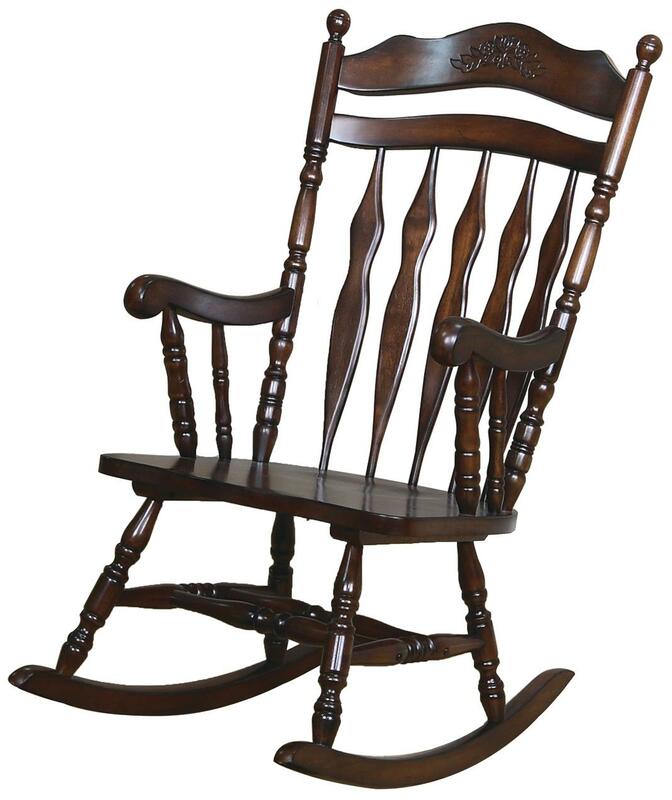 Add this beautiful rocker to your home for a touch of warm tradition. 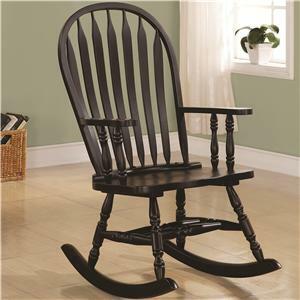 The Rockers Traditional Country Wood Rocker by Coaster at Value City Furniture in the New Jersey, NJ, Staten Island, Hoboken area. Product availability may vary. Contact us for the most current availability on this product. 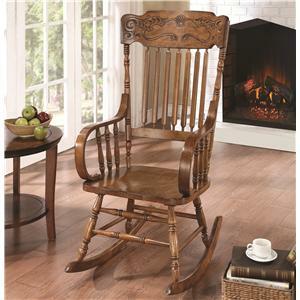 Choose from a variety of stunning styles in this groups of rocking chairs. Sit back and relax, enjoying the soothing rocking motion. With different design styles and wood finishes available, you are sure to find the perfect fit for your home. 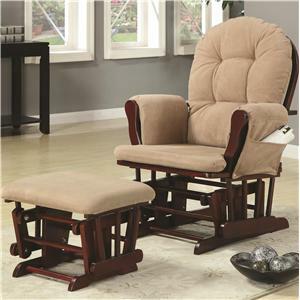 Add a rocker to your living room, den, library, or bedroom to create a calming and relaxing space, without compromising your unique style. The Rockers collection is a great option if you are looking for Traditional furniture in the New Jersey, NJ, Staten Island, Hoboken area. 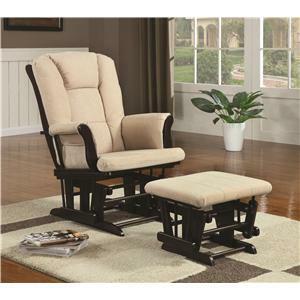 Browse other items in the Rockers collection from Value City Furniture in the New Jersey, NJ, Staten Island, Hoboken area.